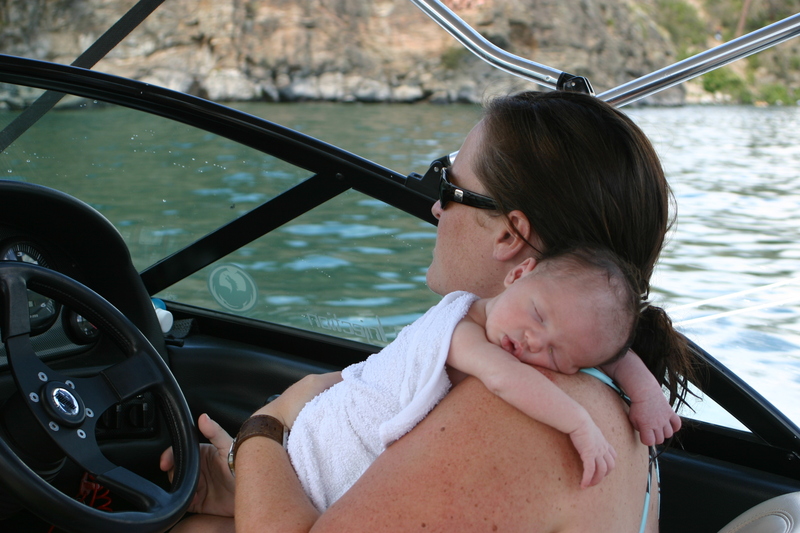 Why rent a high-performance ski boat? Your Rental Documentation : Glenn will give you the password once your boat rental is confirmed. Who are you renting a boat from anyways? Vernon Boat Rentals in Vernon, BC. Hassle Free rentals Guaranteed! Meet Glenn Gallie. He is the owner of Vernon Watersports, and I am his wife Lisa. I am going to tell you a few things about this guy, so that you know exactly who you are renting your boat from in Vernon, BC. First and foremost, Glenn takes his job as a Dad, the most serious. 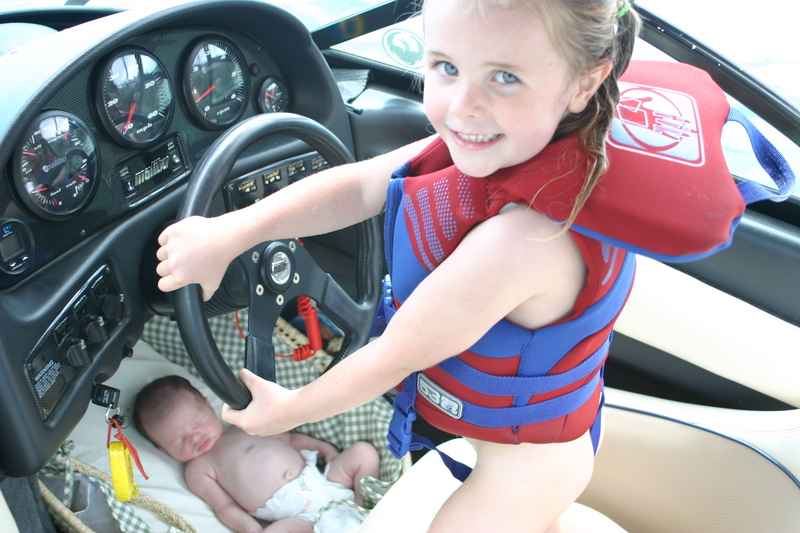 These are our kids, Myah and Jordyn, enjoying their Dad’s enthusiasim for all things water-skiing! Both of them have literally grown-up in tournament boats! 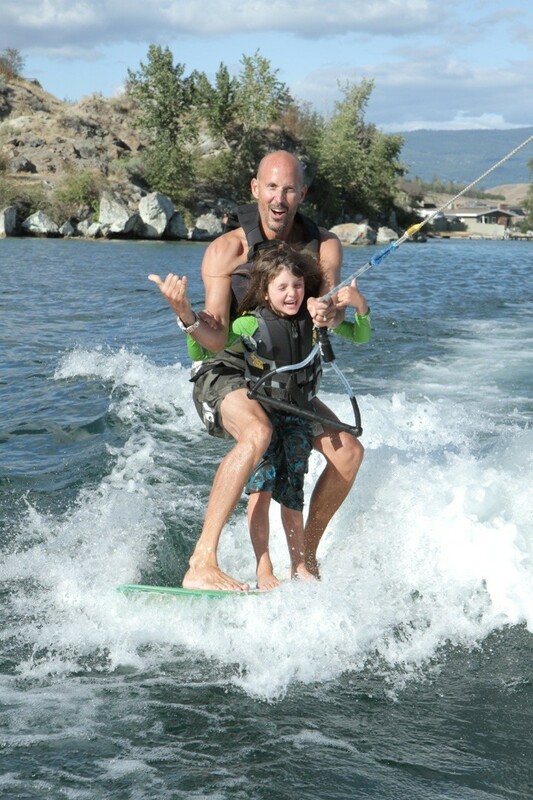 (see pics below) Glenn has over 20 years of experience on the water, including coaching kids in water-ski schools, and also holding the National Barefoot Water Ski Champion in 2000 and 2001. Of course, I ended up becoming a boat-driver comparable with Michael Andreotti…because every good “footer” needs an amazing driver. 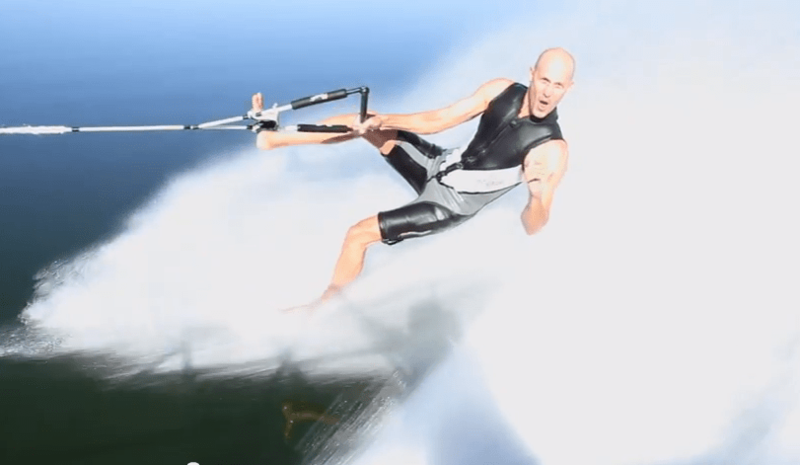 He won’t admit this, but he was quite the accomplished water-skiier a long time ago as well, even training in Florida! Fast forward a bit…After kids and a serious back injury that required surgery in 2010, Glenn now focuses on providing a PERFECT boat rental for his clients. He can be found on the boat launch at pretty much any time of day from July 1 – Sept 15th. He is the guy standing back, watching all the “domestic’s” and ramp-rage, with a big smile on his face….cool as a cucumber. We are so proud of Glenn’s ever-giving attitude and we are looking forward to the adventures that the 2015 season will bring us. Yup, that’s me single-handing a barefoot set for Glenn when Jordyn was only 10 days old. 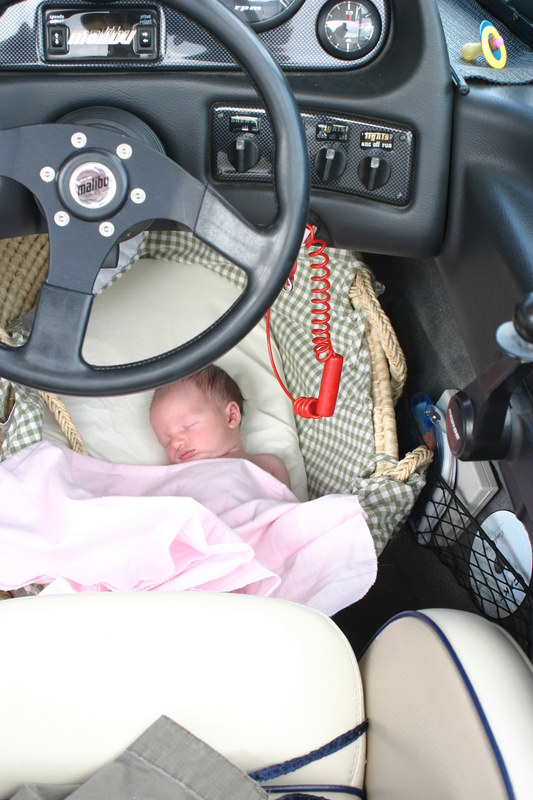 Myah with her new baby-sister asleep in the foot-well below the steering wheel…these kids come by it honestly!! We also own a beach shop in Vernon that has grown to be the largest independent swimwear seller in the entire Okanagan!! Big Sun Beachwear and Tanning is our passion when the boats are not renting, and it keeps us really busy as well! WARNING: Your paid reservation entitles you and your family to a VIP DISCOUNT CARD at BIG SUN! Definitely ask Glenn about where you can get one…just add a few more points under your name on the scorecard!!! Call or Text Glenn to book your boat today!